Dutch offshore engineering specialist Boskalis has announced that Bart Heijermans will be nominated for appointment to the board of management, and will head up the offshore energy division with effect from September 1. Heijermans is a veteran in the offshore industry, recently serving as CEO and board member of Norwegian subsea services provider DeepOcean. “We look forward to Bart joining the offshore energy division. 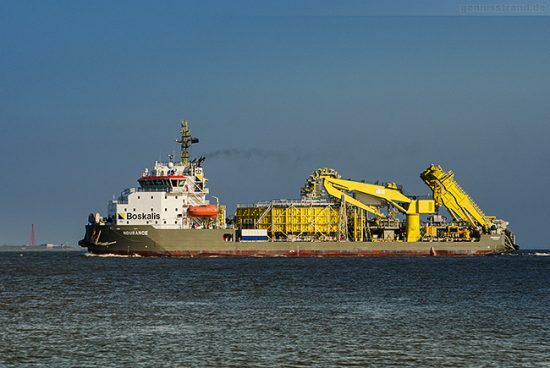 Boskalis has identified large growth opportunities in offshore. In anticipation of this we are investing considerably in our offshore energy activities, as demonstrated by our recent investments in diving support vessels and a crane vessel, as well as the acquisition of UK subsea survey specialist Gardline. Bart’s excellent track record in offshore will enable him to play an important leading role in the further expansion. I wish him every success with this,” said Peter Berdowski, CEO of Boskalis.